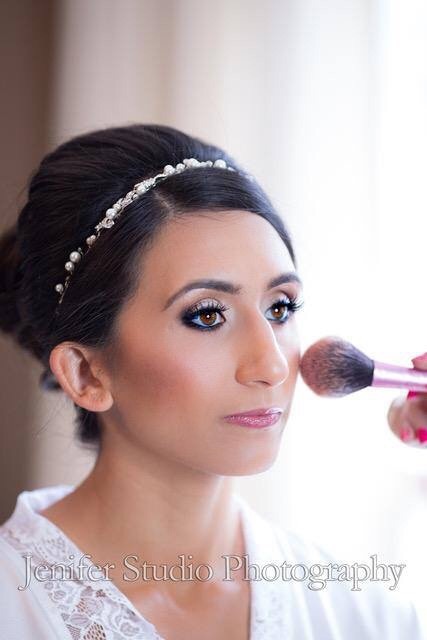 Your search for a great bridal makeup artist could stop today! Want to end the search for finding your perfect makeup and hair team? Want to look like a STAR without the celebrity price tag? Want to be stunning and glamorous BUT still look like YOU??? FILL IN FORM BELOW and SECURE YOUR DATE TODAY!!! Your head is held high because you know you’re the most gorgeous woman he’s ever seen. Your eyes are striking. Your lip is pouty. Your skin glows. And your makeup stays all day and night as you dance and drink the night away. Email now to find out if Dee has your wedding day open! Fill in Submission-form to share some details. Our first call will be complimentary, casual and fun. I want to hear all about you... You’re my bride! I want to know what your vision is, your likes and dislikes. We'll discuss your investment and see if we're a good fit, and when the timing is right, we’ll schedule your trial. There's no obligation for the call! At the Deeva Demo, I host you in my home-studio for a trial. We chat and get to know each other better while we play with foundation, color and all the special effects. We’ll work together until your pout is perfection and your eyes smolder with wedding-day anticipation. of your preferences are recorded and tucked away. ***Please note there is a small retainer asked for thru Venmo to hold your trial appt. Need 'Hair Services' as well? DeeVa Beauty is happy to refer stylists we work with for your convenience!! Between your Demo and Your Big Day, we need to prepare! 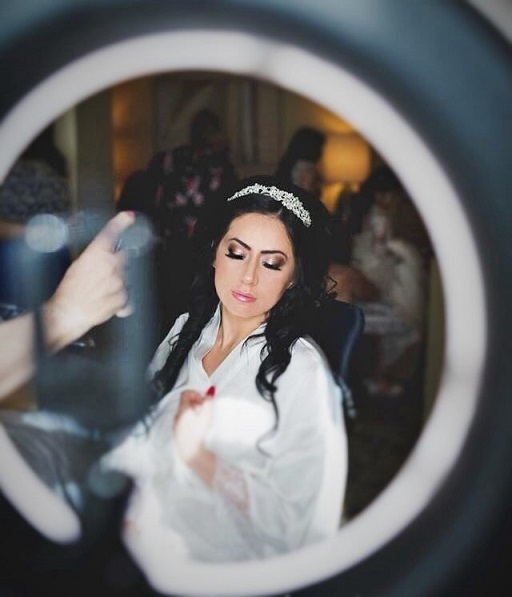 I’ve been a professional bridal makeup artist for many years and I know all the celebrity secrets for making sure your skin looks its best on your wedding day. When you book with DeeVa Beauty, you receive an extensive PDF on how to get your skin in tip top shape. The night before your wedding, I’ll remind you of how beautiful you’re going to look and not to worry about a thing! We’ll do a final confirmation of the time, and you’ll fall asleep knowing that your Deeva Debut is going exactly as planned. On the day of your Deeva Debut, you’re going to feel amazing. You’ll be pampered and prepped, along with your bridal party. It’s your day, so we’re going to be having fun together in the dressing area! My goal is that you enjoy every single minute of your day!! Able to accommodate LARGE BRIDAL PARTIES!!! “I loved my makeup. It looked so natural and yet smoky and glamorous at the same time. One thing I was worried about was that I was under the impression airbrushing was better than the regular application of foundation, but it looked so much better and it stayed in place all day! Everyone’s hair and makeup looked perfect and throughout everyone sweating and dancing - nothing moved or changed, it still looked like it was fresh. "Deirdre did an amazing job on my makeup! I had gone back and forth looking for an artist who wasn't going to make me look like a clown on my wedding day. The makeup felt light which was very important for my hot august wedding. After dancing the night away my makeup lasted the entire time! 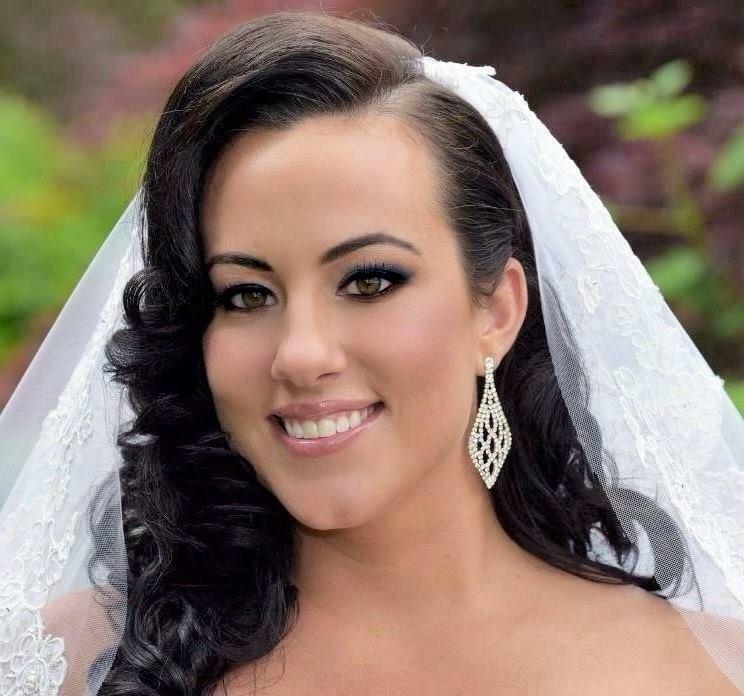 I was very impressed with the quality of work I received, and I highly recommend choosing Deirdre for your wedding makeup." “DeeVa Beauty was a life saver! I had waited until the last minute to book a makeup artist, and Deirdre was there to save the day! My make-up lasted the entire night without wearing off, even when crying! She is very professional and reliable! My wedding was 3 days after Hurricane Sandy hit and Deirdre still made it out and worked so hard to make everyone look beautiful. Outstanding Customer Service 8 years in a row! !